A wet weekend for many didn’t deter some strong performances for Halcyon coached riders. Up in Yorkshire, Jenson Young chalked up yet another Junior and overall win in the Yorkshire CX League – following a close race with Graham Briggs, JLT Condor. 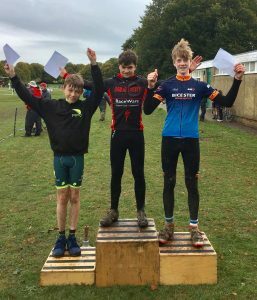 Arlo Carey had a great weekend with a two very consistent third places in the Central and Wessex CX Leagues on very different courses in very changeable conditions. 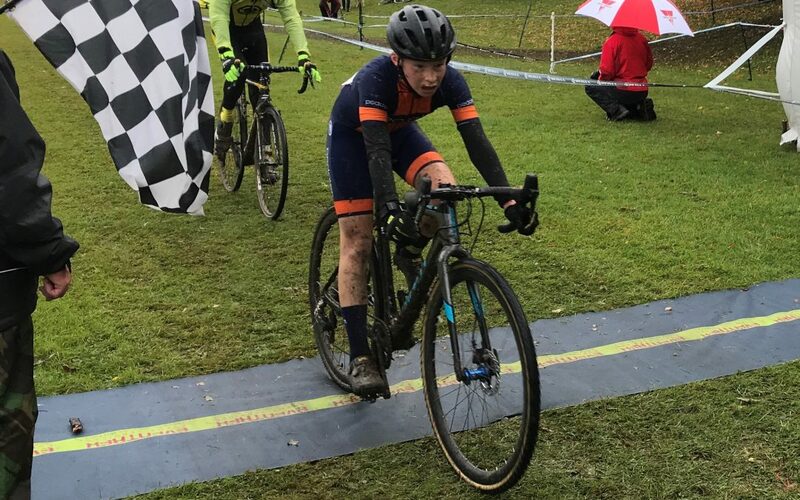 Gareth Davies chalked up his second Wessex U16 win in Basingstoke on Sunday and of course there was Katie Scott’s win in the Junior women’s race and 3rd overall position in Milton Keynes on Saturday. Oscar Clark isn’t into mud (yet anyway!) 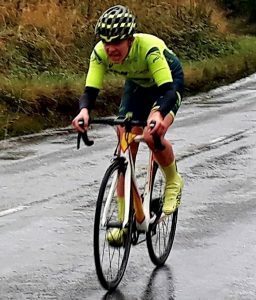 but he had to contend with heavy rain riding in the Reading CC two stage hill climb event up Streatley and Goring hills coming a very creditable 3rd in the under 18 category after hurting his leg playing rugby mid-week. There were others delivering strong performances and everyone showing some big improvements – it’s going to be very interesting over the next few weeks.